This photo was taken May 15, 2008. 37 Woodlawn Avenue. Note the trumpet-like flowers. 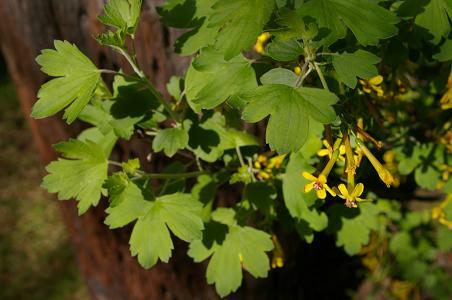 This currant has several names including clove currant, buffalo currant and Missouri currant.